I am a huge fan of Sleek Makeup affordable products with a high end brand type quality yes please! One of my favourite purchases thus far is their Vintage Romance eyeshadow palette. A mix of Shimmer and Matte shades they all have quirky names which depict the course of a relationship, while incorporating different cities from around the world. This palette was £8.99 from Superdrug which is a very cheap price for 12 quality eyeshadows, when you consider the Urban Decay palettes are £38 each. This brand probably has some close dupes. Pretty in Paris - is a white/silver shimmer shade that is perfect for highlighting the inner corner of the eye. Meet in Madrid - is a lovely gold shimmer shade that can be used on its own just on the lid. This one would make a good dupe for MAC's Amber Lights. Court in Cannes -is a bronze shimmer shade that is again great for all over the lid or it would make a good transition shade. Lust in LA - is a dark brown shimmer perfect for the outer corner of the eye crease to create a different kind of smokey eye. Or again this could be used all over the lid. 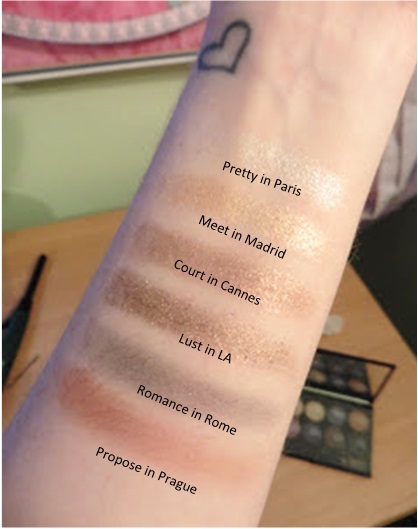 Romance in Rome - Probably my least favourite shade in the palette it looks like a blue matte in the palette however when swatched it comes out greyish and not very pigmented. Propose in Prague - Another matte shade this time a chesnut brown, this one is far more pigmented and would be as good transition colour in the crease. A Vow in Venice - is a matte purple/pink shade even though it looks mostly pink in the photo. Again this matte is fine pigmented and easy to use. Marry in Monte Carlo - Is the shimmer version of this purple/pink shade (not as pink as the photo makes out blame the lighting.) 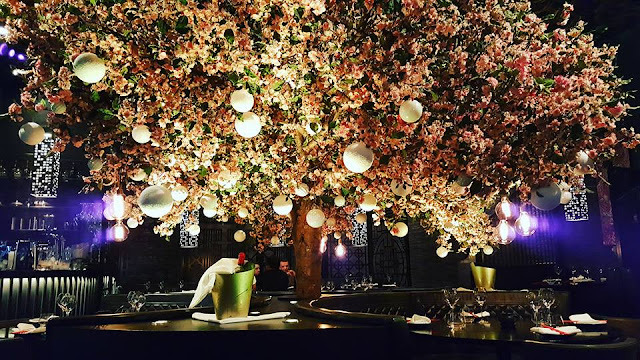 This would look beautiful swept over the lid for a very girly look. Honeymoon in Hollywood - Is a matte dark pink shade good for the outer crease again for an alternative smokey eye look. Bliss in Barcelona - is a royal purple shimmer shade again quite underwhelmed by the swatch of this but I think the colour would stand out more if it was applied using a wet brush. Forever in Florence - A dark burgundy pink shade good for use in the crease and outer crease. Or all over the eyelid if you are a fan of that dark eyeshadow look. Love in London - is a black glitter shadow which is very pigmented, to keep the glitter in place again apply with a wet brush. This is perfect for that smokey eye look and the glitter makes it seem less harsh for those paler skin tones. All shades I swatched using my finger and no primer, so they may come out differently when using eyeshadow primer or applying with a wet brush or a spray of fix plus. 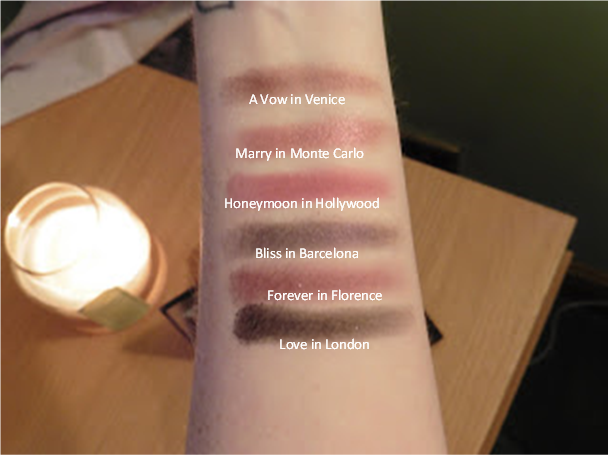 Overall those are my thoughts on the Sleek I Divine Palette in the shades Vintage Romance. This is my favourite palette from sleek so far and would create some perfect everyday eye looks that you can wear for work or socially. That top row is definitely my favourite. I can't wait to try more of the I Divine Palettes from Sleek they are really good quality for the price and are perfect for anyone who is a fan of good quality eyeshadow. Have you tried any products from Sleek Makeup? What were your thoughts?